Field of view ca. 1 mm. 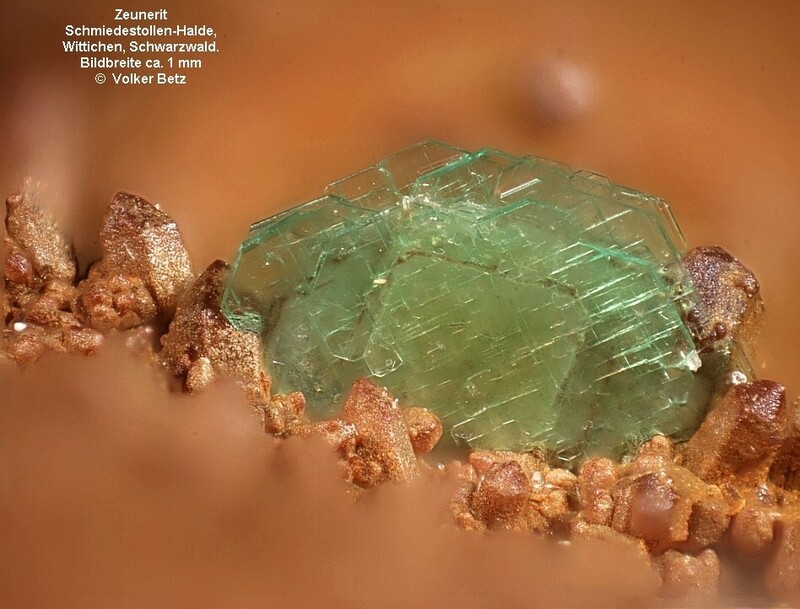 This crystal is most likely Zeunerite and may be dehydrated to the meta-form. The center shows color zoning. No fluorescence under short wave UV-light. Collected during the late 1960´s.